← Nazgûl vs. Dementors. Who wins? It’s the look in Superman’s eyes that really sells it. Flash isn’t the only one who thinks this will end badly. Everyone’s surprised that he did that. Maybe it means he IS going to die? 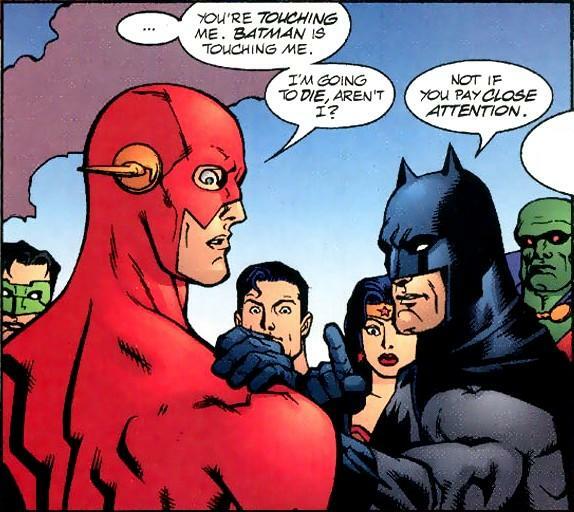 If Batman puts his hand on your shoulder, he’s either about to adopt you or he’s found a way to make it as though you ever existed in the first place.